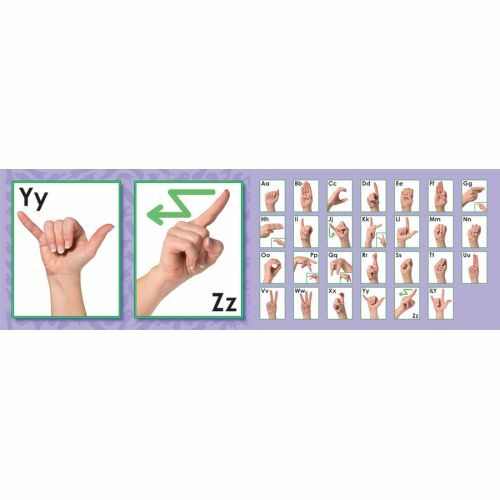 Use this alphabet line to teach the ASL manual alphabet. Photographs demonstrate hand signals for all 26 letters. Measures over 14" long when assembled. Seven 24¼" × 7¼" strips per package.